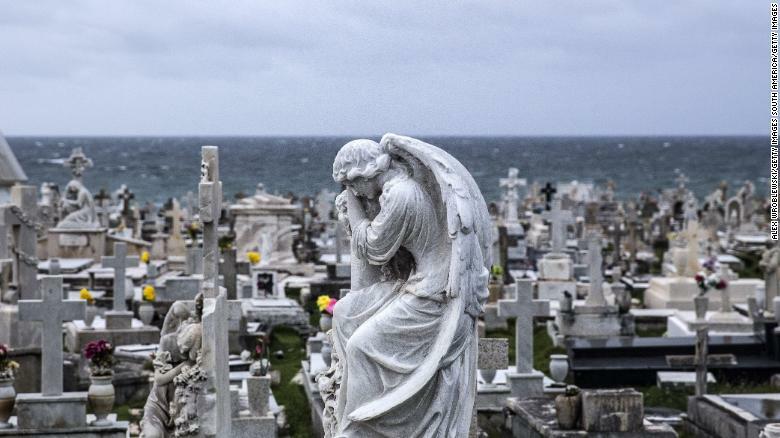 But a report by researchers from George Washington University says Maria led to 2,975 deaths in the six months following the storm. Nevertheless, Santos-Burgoa said the high death toll, ranking Maria among the worst natural disasters in USA history, was evidence that "we lack a culture of preparedness". It made landfall on Puerto Rico on September 20, battering the island with winds of up to 155 miles per hour, ripping buildings apart and uprooting trees. "I don't think they have the resources", she said. "Every death is a horror, but if you look at a real catastrophe like Katrina and you look at the tremendous hundreds and hundreds of people that died and what happened here with a storm that was just totally overbearing, no one has ever seen anything like that", Trump said during a visit to the US territory in October 2017. Over this same period, older male Puerto Ricans had a risk of death that was 35 percent higher than expected and that elevated risk continued past the study observation period. The GWU researchers will look at specific cases to determine what causes of deaths were most prevalent in the storm's aftermath, he said. The disconnect between the administration's initial sanguine assessment of the situation and the enormity of the disaster was evident 12 days into the crisis when Elaine Duke, then acting USA homeland security secretary, characterized the federal response as "a really good news story" and spoke of a "limited number of deaths". They also stated that physicians and others told them that Puerto Rico's government did not notify them about federal guidelines on how to document deaths related to a major disaster. They are therefore unaware of "appropriate death certification practices, especially in a disaster setting", the report found. Thus, like other jurisdictions that are part of the US, the death certification process can lead to an undercount of deaths related to disasters like Hurricane Maria. The latest study says that from the period ranging from September to December 2017 alone, there were an excess of 2,098 deaths, and 2,975 from September 2017 to February 2018. And in May, a Harvard study published by The New England Journal of Medicine estimated that the mortality rate ranged from about 800 to more than 8,000, with a midpoint estimate of 4,645. "We used very rigorous methodology".